Cyber Security Awareness: How Protected Is Your Company Really? Home » Cyber Security Awareness: How Protected Is Your Company Really? With almost three attacks a minute happening somewhere on the web each day, and with even the biggest companies at risk of a breach, cyber security is something every business with an online presence should be worried about. The good news is that you can protect yourself, but that requires both educating yourself, and looking for help in the right places. There have been some pretty big breaches in the past decade or so. Retail companies like Target and The Home Depot have lost tens of millions of records to intrusion and breaches. Tech savvy companies like Microsoft’s Xbox division and Sony’s Playstation network have both been breached, with over a million records affected in each case. Worst of all, companies as big as Yahoo have suffered breaches as big as 1 billion records. This is not petty theft. We’re talking about crimes that are costing U.S. companies an average of $7 million per breach. 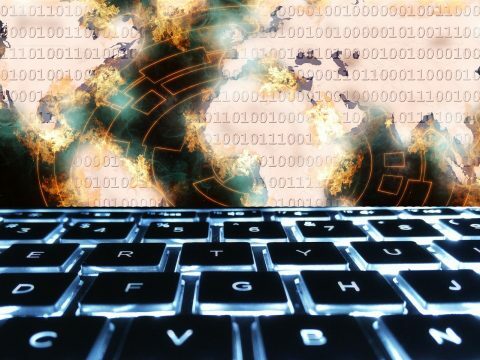 The cost of digital crimes, globally, is expected to be as high as $2 trillion by the year 2019. According to Security Intelligence, the average cost of one cyber attack is $3.79 million. Information is the currency of the future, which is why so many are willing to steal it. Here’s a less-than-comprehensive list of what they’re after. Malware is any “malicious software” that tricks you into downloading it so that it can do something nefarious once it’s inside the system. Frequently seen as a suspicious attachment in emails, among other things, once you’ve let it in malware can do anything from keystroke logging to surveillance to directly hijacking control of your machine. Often hand-in-hand with malware, phishing is the use of email to fool a victim into believing the source is reputable or trustworthy (a friend, a government agency, their boss, etc.). Sometimes the email instructs the victim to download a file or click on a web link (the malware), but sometimes it simply asks for sensitive information directly. One of the biggest vulnerabilities is passwords that are lost, stolen, or too easy to crack. A password that is too short or too simplistic takes only moments for a computer to guess, numbers and special characters notwithstanding. Then, sometimes in an effort to overcompensate, people make passwords too complex to remember, causing them to do things like write them on sticky notes near the keyboard. This makes them too easy to lose, forget, or steal. Worse yet, it’s common for a password to be used for multiple logins. That means if there’s been a data breach somewhere else and they got your Target login, they probably have what they need to log into your email, too. Sometimes data breaches happen by accident, such as a file being sent to the wrong email contact. These “mental errors,” while unwitting, are nonetheless just as dangerous. There are some things that you can do to start protecting yourself and your company. First, be better about password strength: use a password manager and don’t repeat your passwords. Also, be sure to hash login information stored for your site, and encrypt any sensitive information. Be more wary of suspicious emails and online activity. Double-check recipients of emails, and so forth. In the end, though, you need someone to watch your back and help you keep things secure. Keeping your data secure is a full-time job, and you want someone who can devote themselves to it. Fibernet can help you increase security and peace of mind. Contact us today for a detailed evaluation and a demo of security improvements we offer. Is the SEC Desperate for Cyber Security Improvements?